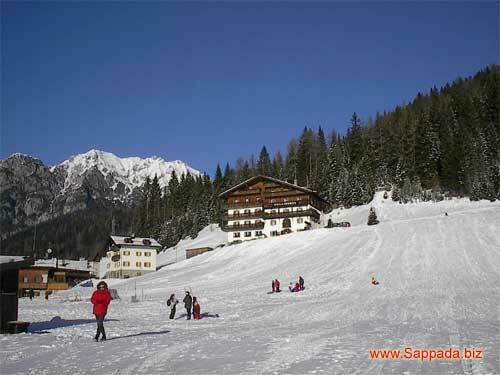 Sappada, called Plodn in its historical dialect, is a small ethnic island of Austrian origin. Established around the year one thousand by a few German speaking families. The usage, the customs, the architecture and the language itself, are a cultural patrimony that Sappada together with its inhabitants (sappadini) have been able to maintain live for a century. 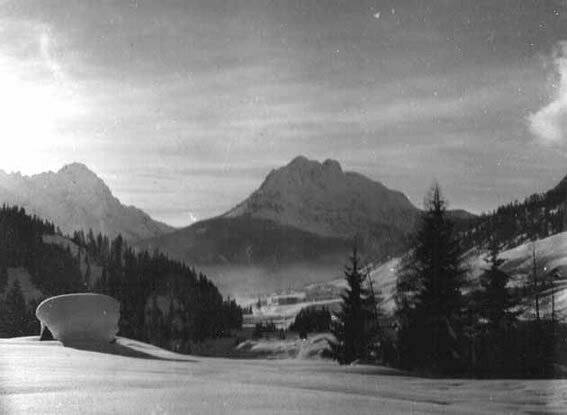 The first inhabitants of Sappada were shepherds and peasants, wood-cutters and iron miners which they extracted from the surrounding mountains. 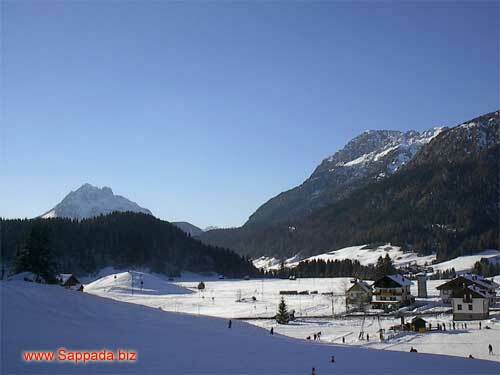 Sappada today, is a well known touristic centre, which knows how to bind together hospitality, the freshness of the woods and the wonderful scenery of its valley. 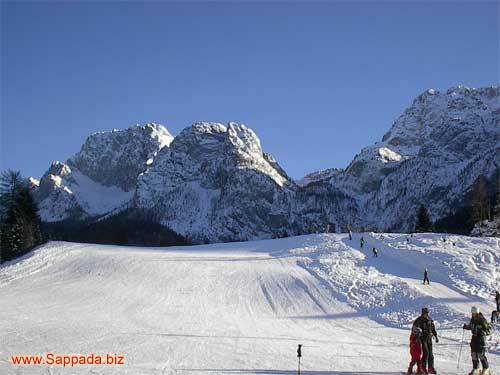 Under the massive Peralba, Terze and Siera Mountains, there lies a secret hidden carefully in the Sappada Valley. It is about hospitality at levels of excellence, in wintertime when the mountains, the woods and the gentle slopes are covered in snow. It is the reverse of the medal; the summer that proposes the bright colours of that time of the year through flowers, on one side and, on the other, the winter colours sometimes not so bright yet full of shades. From white to leaden and pale blue enhancing even more the show performed by the sun, at dawn and at sunset for the pleasure of the tourists and of the inhabitants alike. 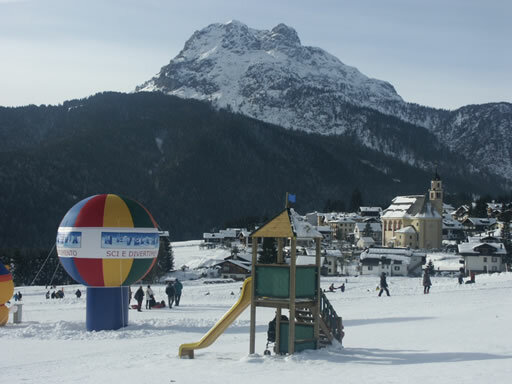 Deep down, winter in Sappada is a natural wonder which the local tour operators make the most of in order to make your staying simply unforgettable. Hotels, restaurants, and the like, flats and shops as well as other services and winter sport facilities offer the best one can find all across the Alps and Europe as for winter resorts managed with flair, warmth, and highly professional standards. Sappada stands out also for the best sign systems devised for its roads, sports and tourist information centres. In other words this ski resort attracts tourists and mountain lovers because of the right balance between efficiency end kindnesses. 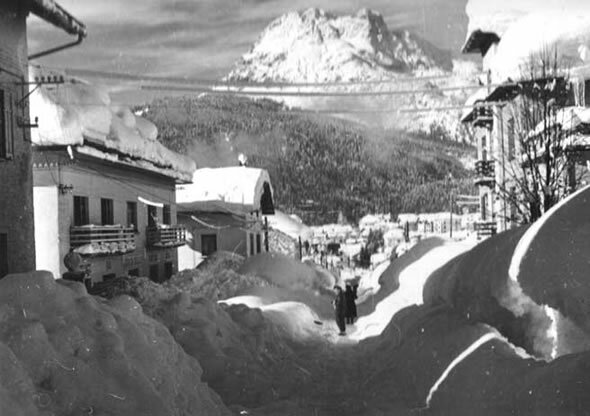 If there is really a secret under the snow this must be the excellence shown by Sappada/Plodn winter after winter with its quality, prices, innovative ideas, environmental consciousness. After all the beauties of nature are really enviable here and deserve to be admired with devotion. Sappada is not only a feast for the eyes but also for the palate. And this is not only because of the local cuisine experts, but also because of the success of this whole culture which is part of a strong and famous tradition, offered to us each year with a hectic series of events reviving all the historically original aspects of local life. And now it is time to wish you a wonderful and peaceful holiday in Sappada: searching for a secret on class, everybody sitting around a cosy fireplace and maybe sipping a glass of mulled wine.